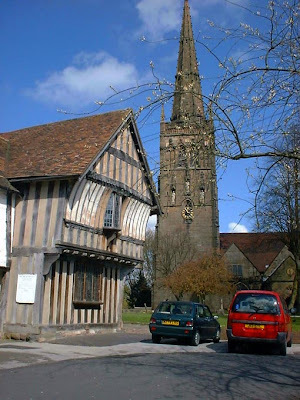 I live in a medieval village called Kings Norton just south of Birmingham, Englands second city. On the ancient Green stands one of the oldest grammar schools in the Midlands, a 12th-century church and a large 15th-century timber-framed house. 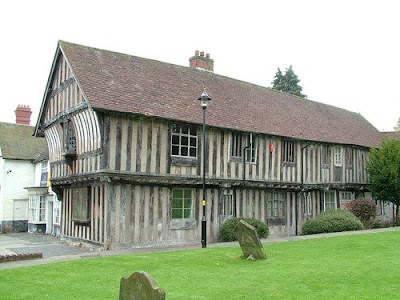 The Old Grammar School and the medieval house, known as the Saracen's Head, are buildings of considerable historical and architectural importance and were the winners of BBC Restoration 2004. 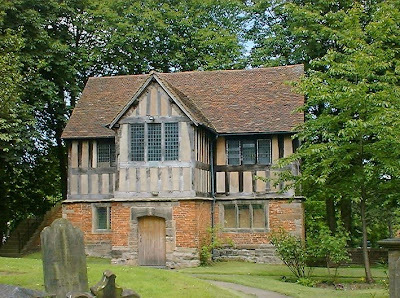 The Old Grammar School is a wonderful-looking, timber-framed structure. Tree analysis of its huge timbers have revealed a construction date of between 1434 and 1460. 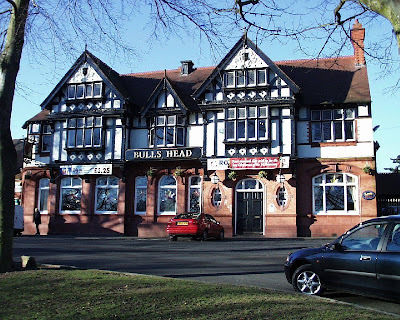 The nearby Saracen's Head was quite possibly the largest house of the royal manor during the 15th century, home of a wealthy and successful wool merchant, later becoming an Inn. The house boasts highly decorative medieval workmanship. It was here that the wife of Charles I, Queen Henrietta Maria, stayed on her way back from Yorkshire where she had gathered troops for the English Civil War. 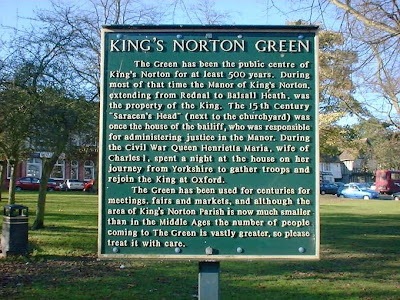 The devoutly Catholic Queen arrived at King's Norton in July 1643 with around 5,500 men and spent the night in what is known as the Queen's Room, while her troops slept on land behind the church. Every year there is a 'Mop Fair' held on the village Green where in ancient times the hiring of agricultural workers and domestic servants happened, and the origin of the name is said to be that house- maids who attended the fair in the hope of being hired carried mops and pails. The hiring took place in conjunction with a country fair at which the roasting of an ox was a great feature. Although the hiring has stopped we still have an ox roast and country fair, and entertainers such as Morris Men & Clog Dancers and fun fair and every month a Farmers Market on the Green.